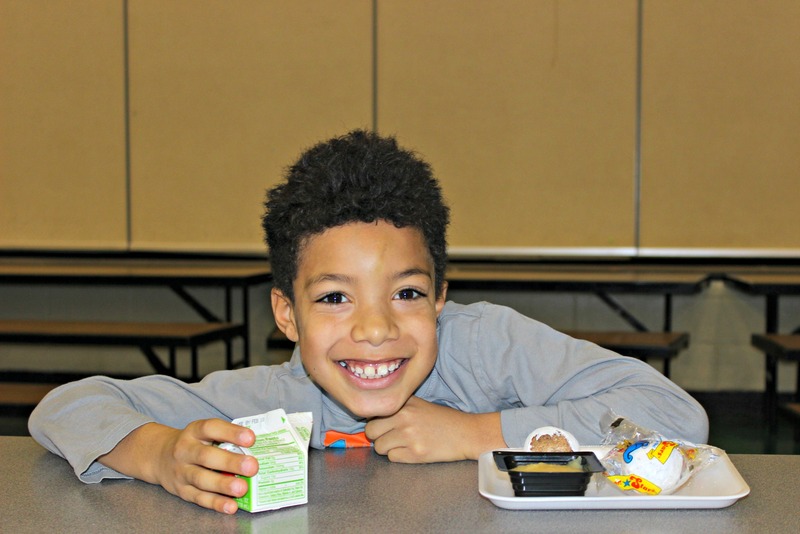 A new report about school breakfast consumption in Allegheny County found on average 56 students that qualify for free and reduced price meals are eating breakfast for every 100 that eat lunch. The report, produced by Allies for Children and Greater Pittsburgh Community Food Bank, is based on recently released data from the Pennsylvania Department of Education. In Pennsylvania, on average only 50 students that qualify for free and reduced price meals are eating breakfast per 100 eating lunch. Governor Tom Wolf’s 2020 goal is to reach 60. 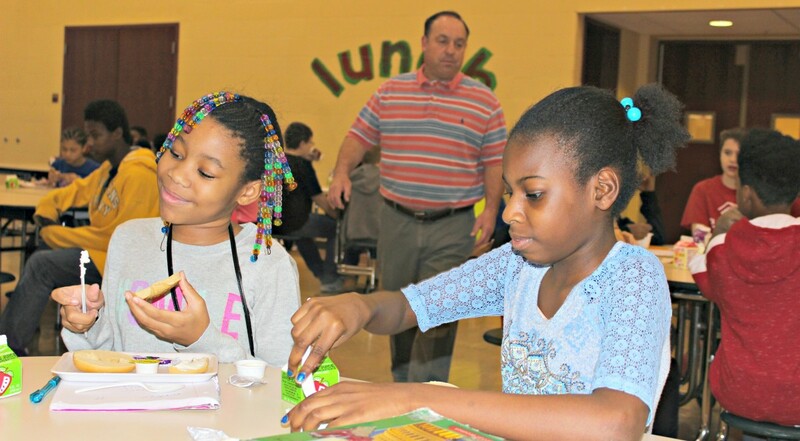 To expand breakfast programs across the commonwealth, Governor Tom Wolf’s 2017-18 budget proposal includes a $2 million dollar investment in school breakfast. The funding, if approved, would help school districts implement alternative breakfast models, including Breakfast After the Bell, Breakfast in the Classroom and “Grab and Go” Breakfast, which provides students a chance to “grab” breakfast from a food cart on the way to class or other designated areas. Several schools in Allegheny County are seeing success from such programs, including Sto-Rox Primary Center and Upper Elementary School. In all, 13 school districts in Allegheny County exceed the 60 percent target for the state. 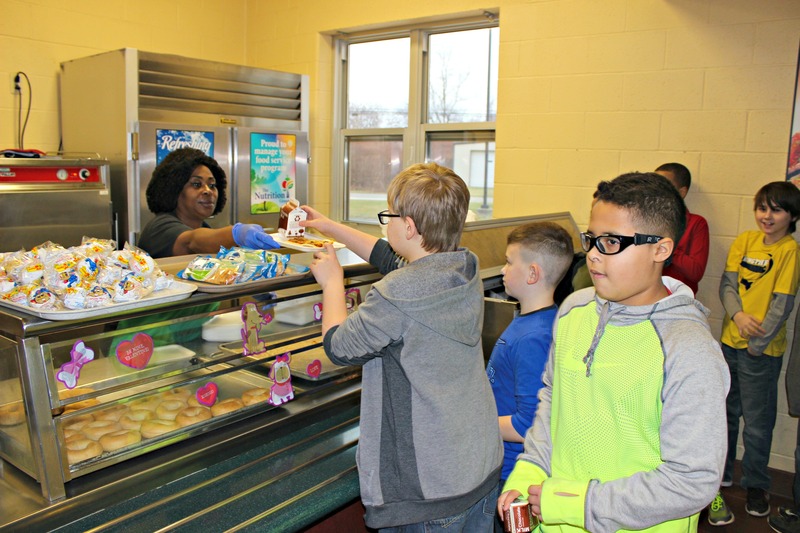 However, seven districts fell drastically short of the goal, serving breakfast to fewer than 20 percent of the amount of students receiving free and reduced price lunches. 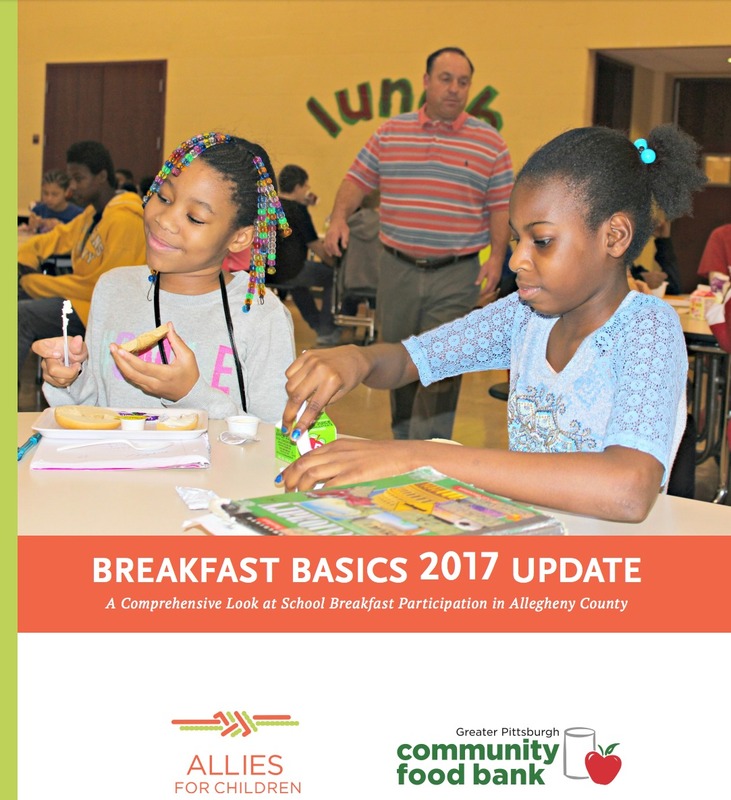 Currently, Allies for Children and Greater Pittsburgh Community Food Bank are working with schools to implement alternative breakfast models or determine the viability of CEP.